Graduation with a Bachelor’s degree from an accredited four-year college or university with major coursework in Occupational Health and Safety, Chemistry, Engineering, Environmental Science or a field related to the job. Five (5) years of experience in occupational health and safety programs two (2) years of which were in a supervisory or lead capacity. Master’s degree may substitute for two (2) years of the required experience up to a maximum of two (2) years. Monday – Friday, 8:00 a.m. -5:00 p.m.
Additional hours may be required due to departmental needs. Experience managing an OSHA compliance program. Experience managing safety processes in conformance with an OHSAS 18001 or other safety management system. Experience managing safety teams and safety-related projects across a large organization involving stakeholders with diverse business objectives and needs. Experience managing or supervising both technical and professional titles. Provides leadership and direction for occupational health and safety, chemical hygiene, indoor air quality, Workers’ Compensation, Return to Work and Commercial Drivers’ License (CDL) Drug and Alcohol programs. Reviews and incorporates standards, ensures compliance with existing regulations related to employee safety. Travels to various city locations for training and responding as safety issues arise. Analyzes Austin Energy’s safety programs, develops and provides management oversite, guidance and approval for the development of training and curriculum required by federal, state and local regulations and ordinances. Directs the development and revision of safety processes and procedures. Develops and provides recommendations on occupational health and safety policy for Austin Energy executives. Develops and evaluates plans, and criteria for a variety of occupational health and safety projects and programs. Communicates safety strategies and information to management and others. 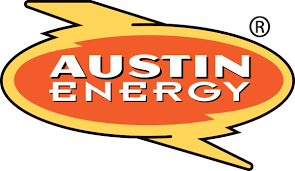 Plans, organizes, directs, audits, and controls Austin Energy’s occupational health and safety programs. Develops and provides management oversight of annual Operation & Maintenance (O&M) and capital Improvement Project (CIP) budgets, prepares short and long-term spending activiates for the program. Develops and manages associated business contracts. Monitors safety related contracts and vendors to ensure delivery of deliverables and to ensure compliance with all applicable safety requirements are met. Reports data or manages compliance issues; devises the necessary quality control measures to track the effectiveness of operations. Monitors safety related contracts and vendors to ensure delivery of agreed upon deliverables. Champions behavioral based investigations and responds to occupational health and safety issues, conducting root cause analyses and develops corrective action plans. Leads negotiations with regulatory occupational health and safety compliance issues with federal, state and local agencies to reach resolution and/or settlement. Work closely with the Emergency Management Division on occupational health and safety efforts with emergency management and disaster recovery. Develops and revises the occupational health and safety manual, General Work Practice (GWP), process and procedures. Prepares and reviews reports as part of the process of monitoring and communicating safety performance results. Develops and evaluates plans and criteria for a variety of environmental and safety projects and programs. Knowledge of business case development, strategic business planning, reengineering, organizational change strategies and performance measurement. Knowledge of chemistry and chemical safety. Knowledge of business issues, metrics, organizational linkages and customer value. Knowledge of Behavioral Based Safety (BBS) concepts. Knowledge of city practice, policy, and procedure. Skill in collecting, analyzing, and interpreting applicable data. Ability to interpret federal, state, and local laws and ordinances governing safety in the workplace. Ability to effectively present complex topics in a straightforward manner. Ability to successfully negotiate with regulatory agencies and senior operations leaders. Ability to work with frequent interruptions/changes in priorities. Ability to establish and maintain excellent communication and working relationships with city personnel and the public.